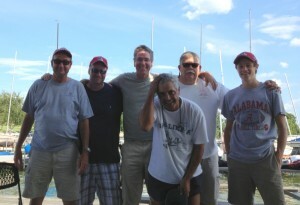 Established in 1996, the Trinity River Yacht Club (TRYC) has been dedicated to supporting and expanding radio sailing in North Texas for over 20 years and is a member club of the national U.S. radio sailing authority, The American Model Yachting Association (AMYA). 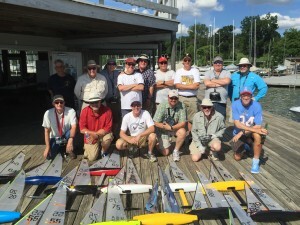 TRYC members have pioneered and led the charge for some of the most successful radio sailing classes in the AMYA, like the Victoria, International One Metre, RG65, and more recently the DragonForce 65 and the new DragonFlite 95. As a host and suppor ter of radio sailing, the TRYC has hosted eight National Championship Regattas in six different classes including the Victoria (2) , EC-12M , IOM (2), ODOM, RG-65, and the DragonForce 65 Restricted Class. 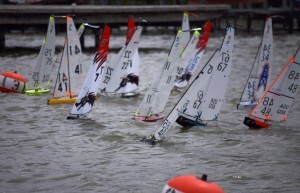 They also established a long tradition of hosting nationally recognized annual regattas like the White Rock Cup (usually Memorial Day weekend), and the Dallas Blowout (usually March). 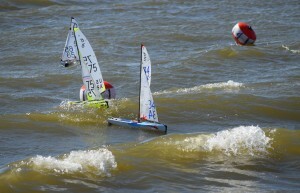 The TRYC also actively participates as a club in regional sailing events like the Texas Dragon Force Series. Our club calendar includes several monthly activities in several classes, and we welcome new sailors to come to any of our club events to give this awesome sport a go!